Google's mobile version of Chrome has become the de facto standard browser for Android, but never let it be said that it's the only option. 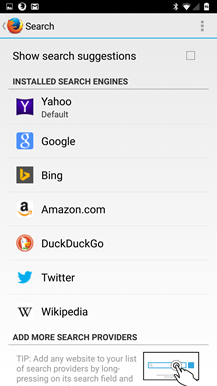 Mozilla Firefox, which predates Chrome on both desktop platforms and Android, has been downloaded from the Play Store 100 million times. 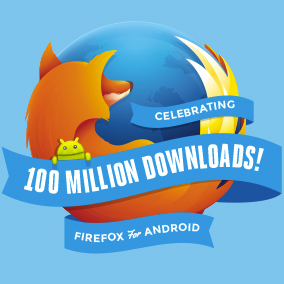 Mozilla decided to toast the occasion on its official blog. Aside from the obvious user interface differences, the Android version of Firefox has gradually added compelling features like integration with synced Mozilla services (which are a godsend if you use the desktop browser as your primary web interface), extra user-accessible tools like a fullscreen switch, customized search engines, and add-ons that expand the base app's functionality. Though detailed download information isn't posted to the Play Store, it's probably second only to Chrome (and the original AOSP browser in markets like China) in the number of total Android users. 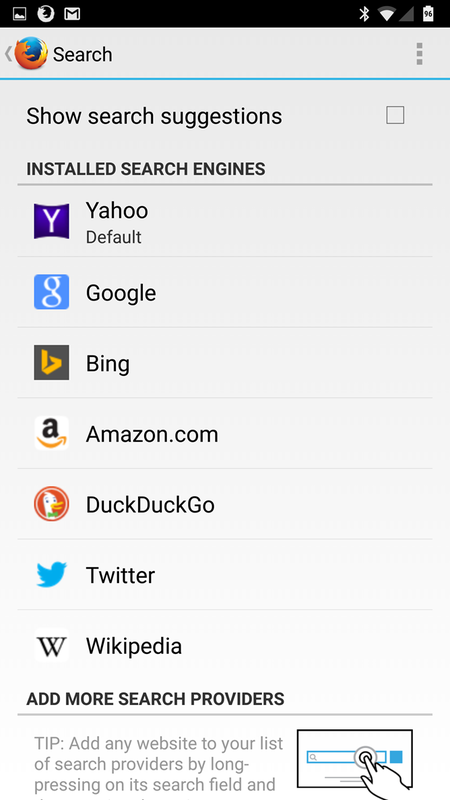 Firefox is also pre-loaded on some devices. 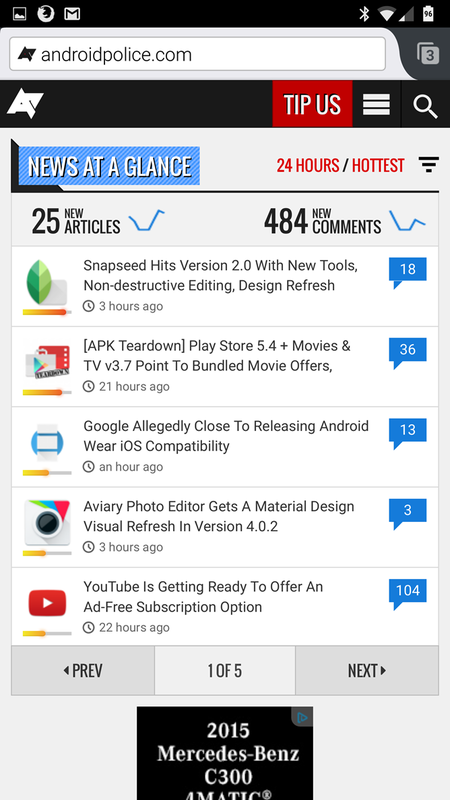 Of course 100 million downloads doesn't mean 100 million users - people who uninstall and reinstall the app or install it on new phones or additional tablets are contributing multiple hits to that particular counter. 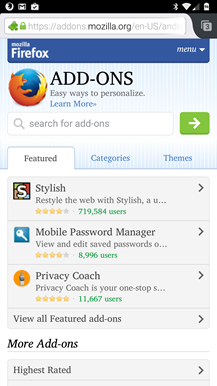 But it's impossible to deny that Firefox has had a big impact on the crowded mobile browser space. The primary versions of Dolphin and Opera, two competing browsers with similar featuresets, have yet to pass the 100 million download milestone.